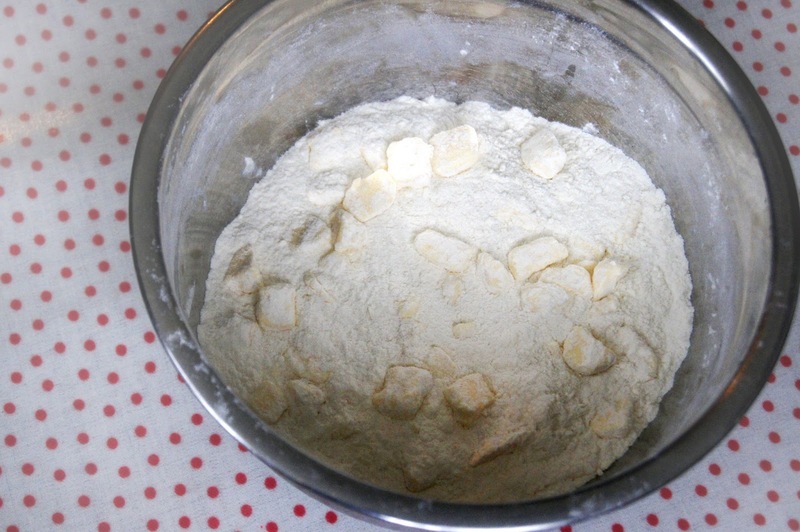 Place the milk, water and yeast into a medium bowl and mix to combine, set aside. 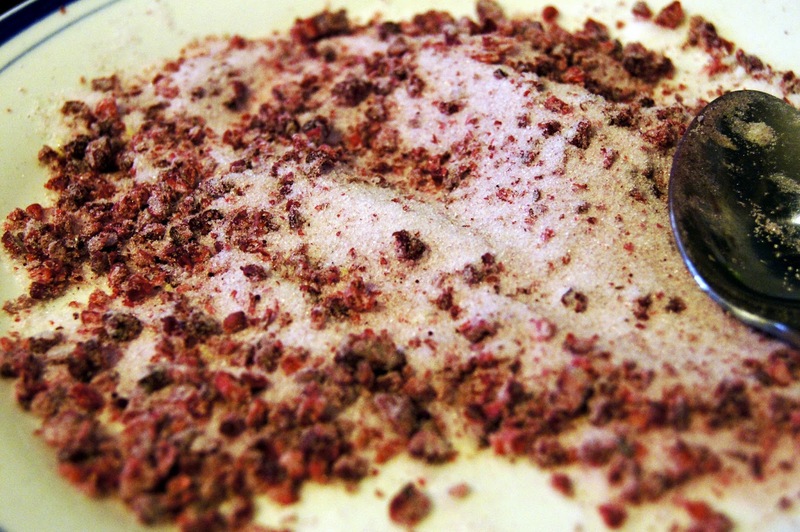 Place the flours, sugar and salt into the bowl of a food processor and pulse to combine. Add the butter pieces and pulse until the butter is in small pieces. This is the important stage, you are not making a bread or a pastry so don’t over-process the mixture. You need to see chunks of butter, around 1cm in size. 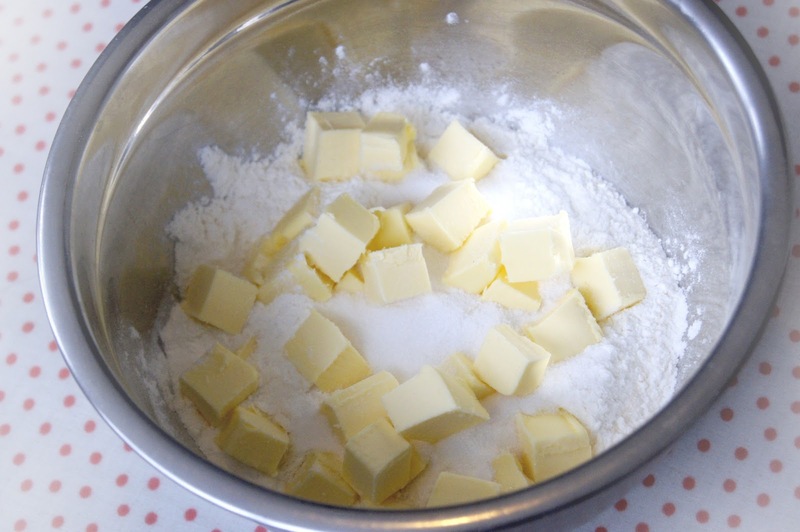 (I cut the butter into almost 2cm chunks to begin with but they weren't getting cut into 1cm chunks from mixing, so I chopped them smaller by hand. I think the key is to still see chunks of butter in your mixture). Tip the mixture from the processor onto the liquid ingredients (I poured the liquid ingredients into the dry mixture as there was more dry mixture than liquid!). Using a spatula or bread scraper gently fold the dry goods into the liquid, trying to moisten everything without making the butter any smaller. Once the liquid is roughly combined, tip the mixture out onto the work surface and lightly knead together to form a ball of dough. 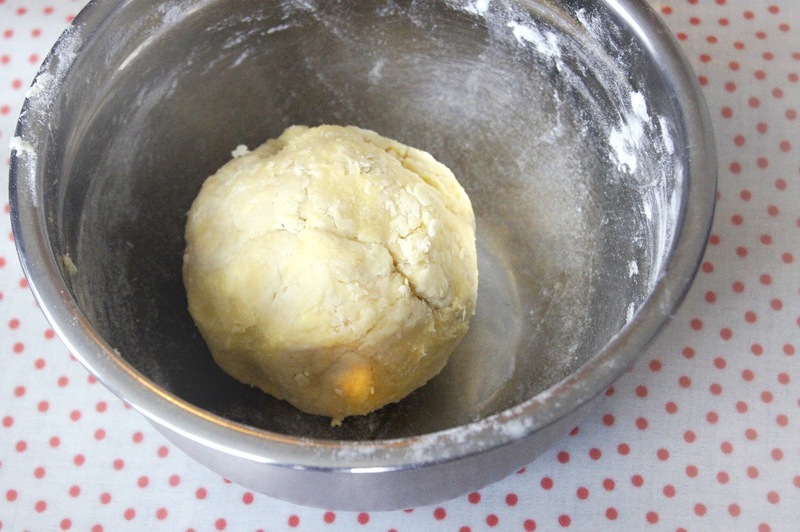 Place the dough back into the bowl and cover with clingfilm and pop in the fridge for a few hours. This first stage should only take 10 minutes. After allowing the dough to rest for a few hours place it on a well floured work surface. 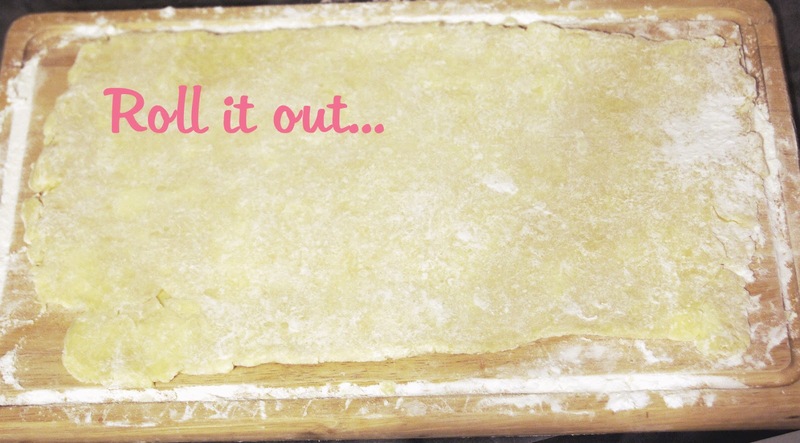 Roll the dough out into a roughly 20cm x 40cm rectangle (Yes you do need a rolling pin. Or you could try using a wine bottle like I did!) 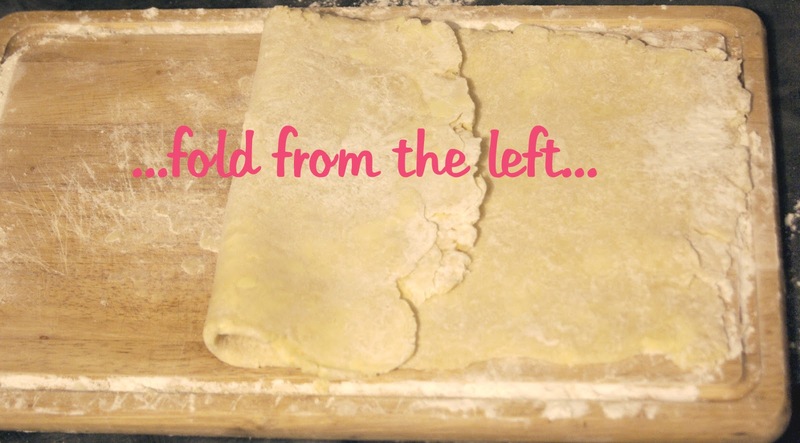 Fold the dough in thirds, like a business letter brushing off any excess flour, this is the first turn. 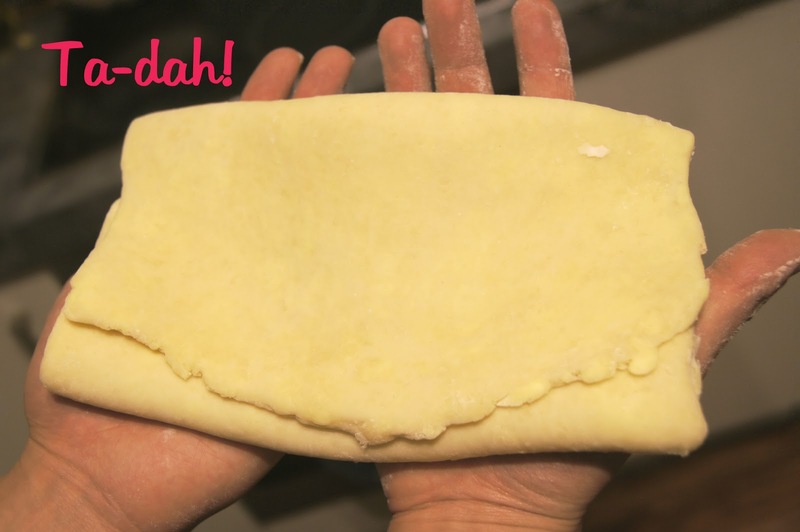 Turn the dough through 90° so that the folds are facing you. 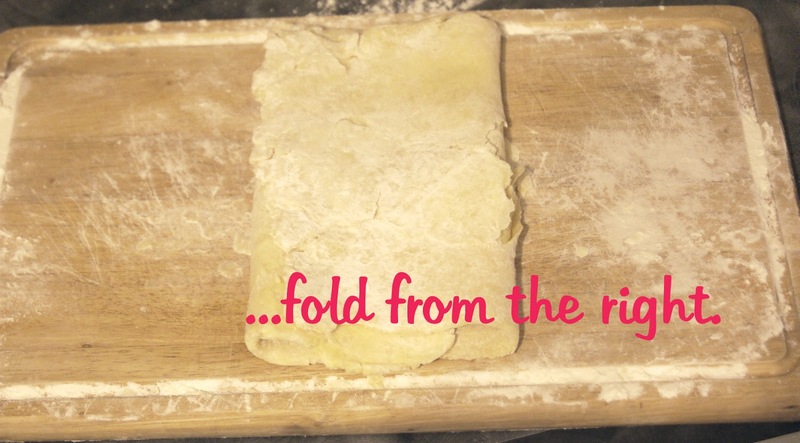 Repeat the rolling and folding process two more times, giving the dough a total of three turns. Wrap the dough in clingfilm and refrigerate overnight before using. 2. 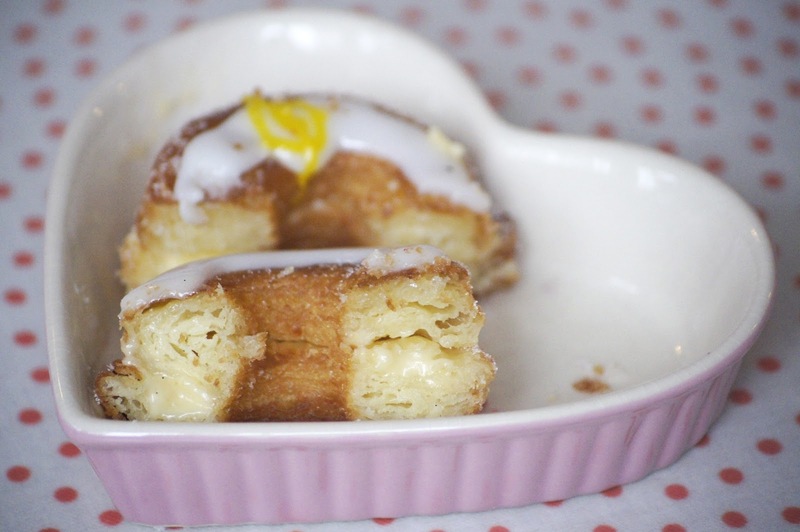 Combine the egg yokes, flour, sugar and maple syrup and whisk until thick and creamy. 3. Slowly pour the hot milk mixture into the egg yoke mixture while whisking. 4. 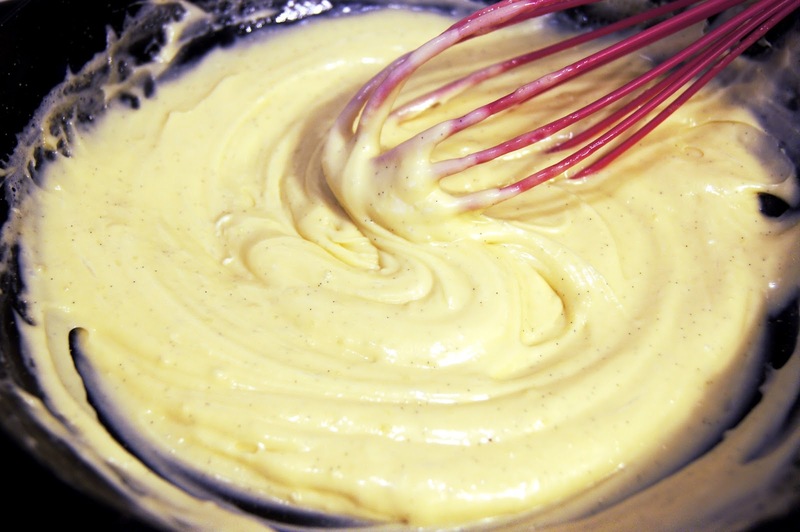 Return the combined mixture to the heat, whisking continuously until thick. 5. Let the mixture cool, then fold in the thickened cream. 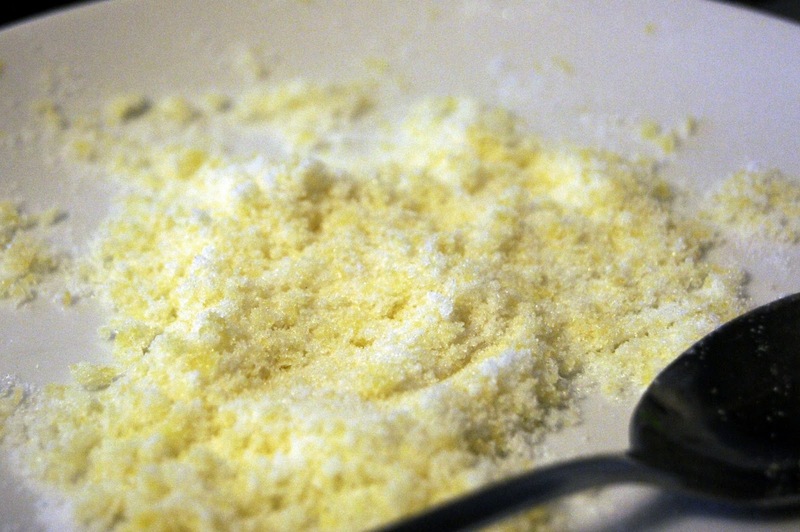 Mix the zest of 1 lemon with caster sugar. 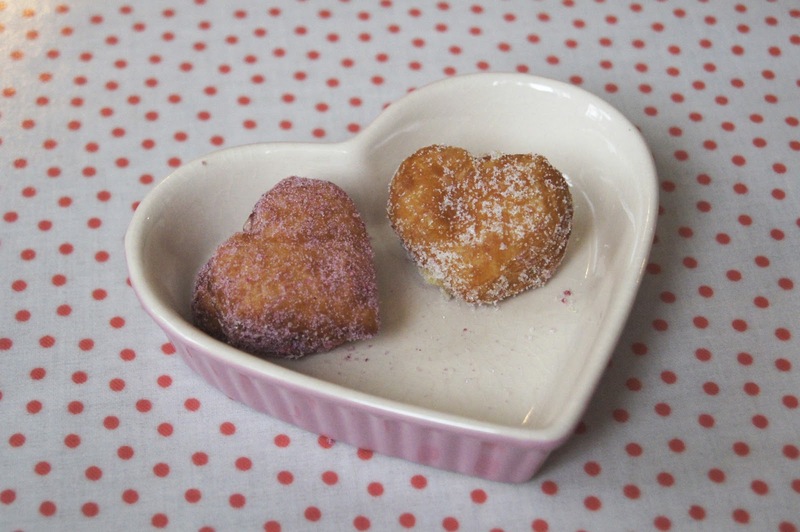 Mix crushed dehydrated raspberry with caster sugar. By this stage I was tired and wasn't measuring properly, so just mix the two together to get a thick consistency. You don't want it moving too much once piped. 1. I followed Edd's instructions to roll dough out to about 1cm thickness. 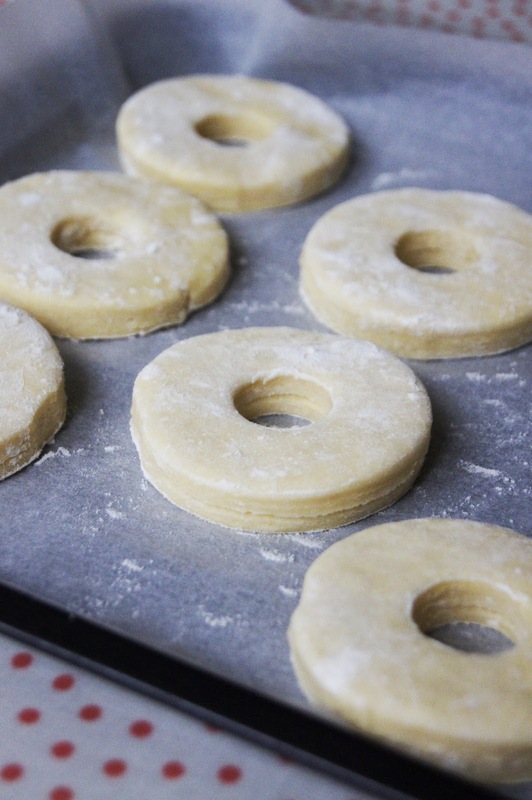 I had to roll it out a little bit thinner than suggested as I wanted to make 6 average size doughnuts. 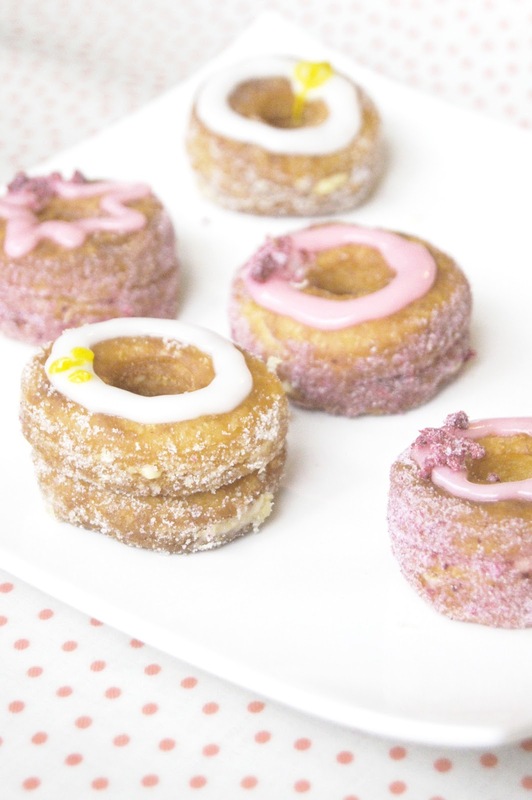 The rest of them I made into little munchkins and heart shaped cronuts. 2. Let the dough rest and proof at room temperature, or (as my dad does) leave them in the oven at 30-50 degrees celcius until risen to almost twice the height. 3. Fill a saucepan with oil and heat up (I couldn't be bothered buying grapeseed oil. That's what Ansel uses). I used rice bran oil. 4. 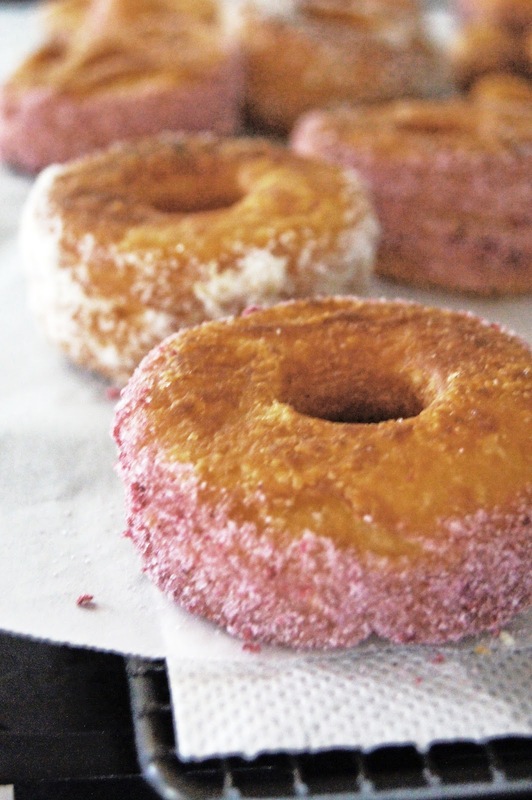 The clever thing to do here is to test the frying time/temperature using the cut-offs from the dough, which I did. Also note that the temperature of the oil drops after you cook one batch. I found it better cooking these in a slightly lower temperature to avoid burning (because of all the butter in the dough). 5. 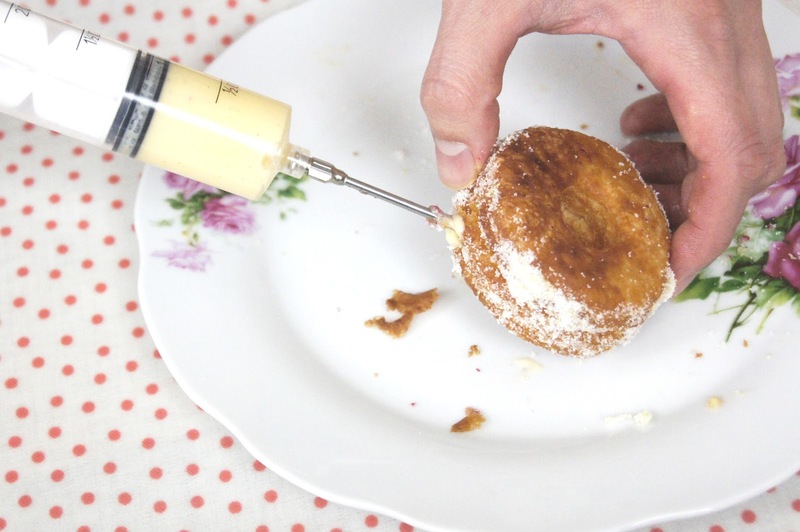 I then used a food syringe to inject the pastry cream into different parts of the cronut, about 8 different piercings to ensure there was cream all through the cronut. This step is quite hard, I found I couldn't do it with my little silicon piper and it was easier when I had my kitchen hand to help me. You should all acquire your own kitchen hand for this step! 6. 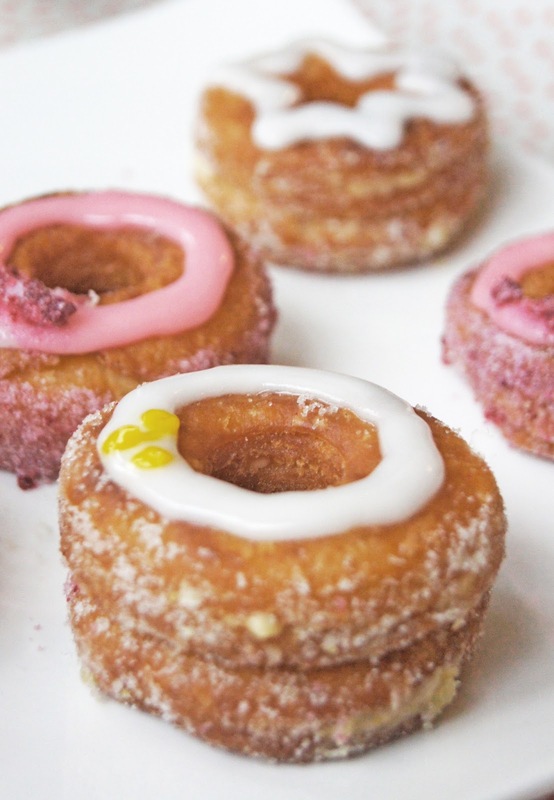 Once all piped, roll the cronut sides with lemon or raspberry sugar and pipe the glaze on the top. Did it taste good? YES, AMAZING! Especially when freshly prepared. 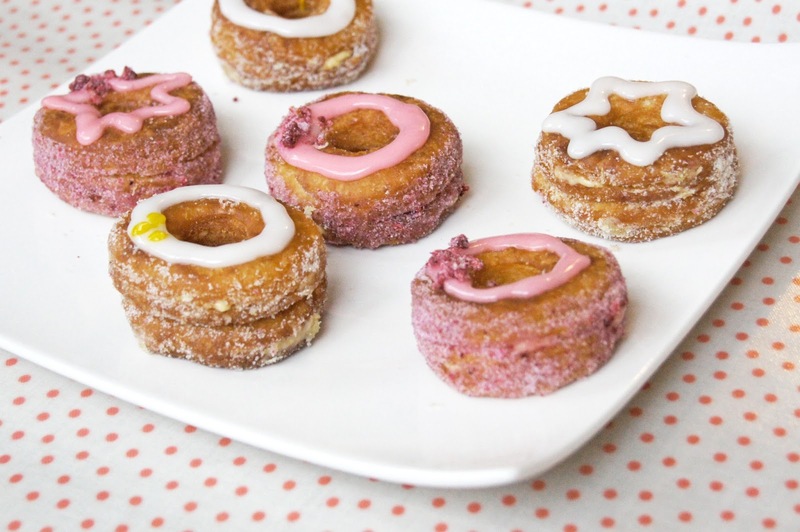 I tested them on myself and a few others and we all agreed they tasted like an exact cross between a doughnut and croissant. I can't imagine them tasting heaps different at the Dominique Ansel bakery except his dough may be lighter and flakier. 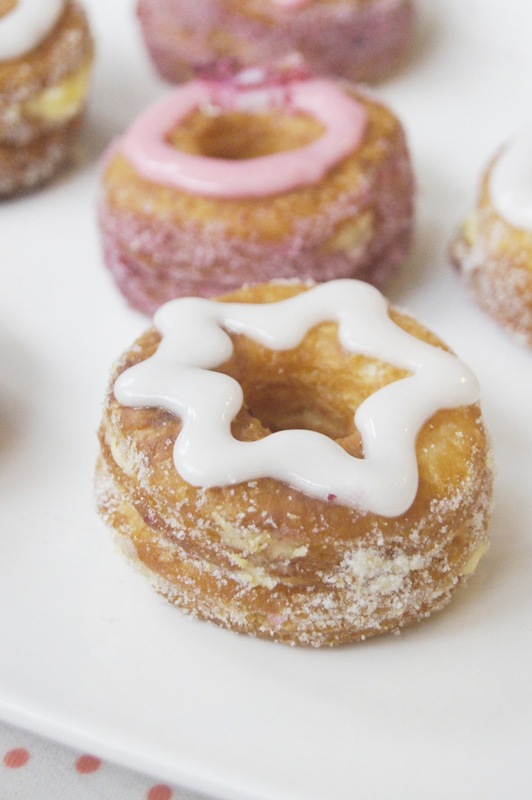 Ansel recommends eating the cronuts as soon as possible and I would say this is true as its not as nice overnight after the cream seeps through the pastry. Was it worth the work? Yes! Would I make it again? Not for a few days, it takes 2 days to complete them on and off. A little bit too much work for lazy me. Could I sell these to my lazy-to-try-to-make-them friends and what would I call it? 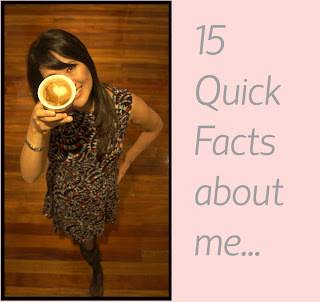 I try to make the recipes I put on my blog as clear as possible so anyone can follow and succeed! Let me know how yours turn out if you do try it! Also thanks for the link, so kind. article on a website or if I have something to valuable to contribute to the discussion. to provide one thing back and help others like you helped me. This looks good. You said it's worth the work right?